Do You Need A Court Qualifed Handwriting Expert? 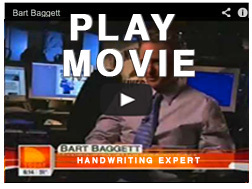 Now, you can work directly with the nation’s leading handwriting expert Bart Baggett. You have seen him on CNN, CBS, FOX, NBC, and Court TV. Court Qualified Forensic handwriting expert. Experienced. Mr. Baggett is the Founder of The International School of Forensic Document Examination and author of 5 books related to science of handwriting analysis. If you are an attorney or you have a situation that involves handwriting analysis, forgery or a questioned document, you should call our office immediately. We can help. If your case involves any of the following issues, call our office right away for a short initial consultation to see if we are the right handwriting expert for your case. 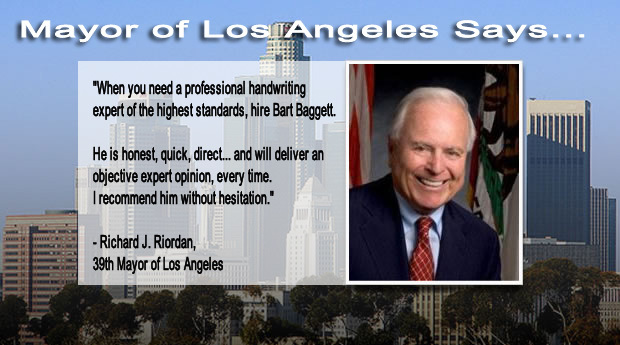 Mr. Baggett is part of a network of highly trained handwriting experts nationwide that have testified in all 50 states, foreign countries and years of experience. In fact, if you speak to our clients (attorneys and individuals), they will tell you that our testimoney and professional written declarations has led to settlements, jury decisions, and even appellate decisions in their clients favor. The fact is... hiring the right forensic handwriting expert can help you win your case and is one of the most important decisions you will make. Talk to us first, so we can give you professional guidance. This is our expertise. While we can never promise our “official opinion” will be the exact opinion that supports your legal position… you can guarantee the professionalism, the experience, and the in-depth knowledge... so you know what the evidence reveals and what can be proven in court. In many cases, hiring a high profile celebrity “expert witness” can help your case.… even if the official opinion itself does not support your position, the expertise and status of having retained such a high caliber expert has it's advantages as the trial date moves closer. 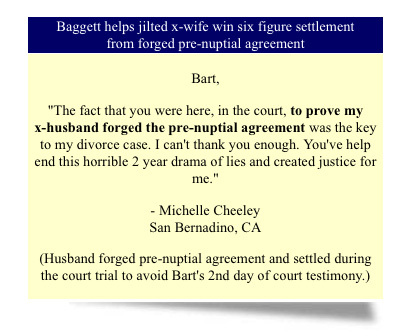 You can retain Mr. Baggett as an expert witness or consutlant on your case. Designation and disclosure is optional. And quite frankly, why not hire a famous handwriting expert who has been on more TV & radio shows than any other handwriting analysis expert in the United States? 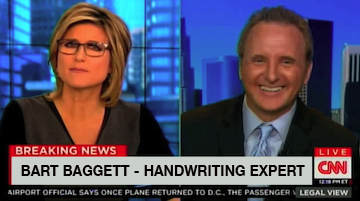 Mr. Baggett is CNN's handwriting expert... he should be yours, too. Outside of the media spotlight, Mr. Baggett has over 25 years of experience in handwriting analysis from handwritten items, forged checks, and medical files. He has been hired by attorneys in civil cases, criminal cases, from small claims court to the Federal level. In most cases, the process takes 3 steps. 1. The case set up and Lab Work. 3. The Written Letter. If you want the “official opinion” in writing, we simple issue an official letter opinion on our letterhead or in a “legal declaration” format. 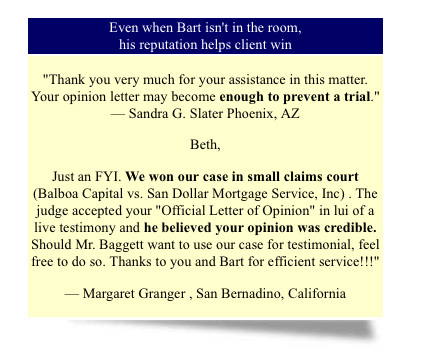 Our clients have utilized that “letter of opinion” along with Mr. Baggett's C.V. ( curriculum vitae) to move their case along to settlement, arbitration, court testimony or dismissal. For most cases, you can scan and email your documents via PDF files or Fed-X your originals to our office. In today’s world of computers, Fed-X, cheap air fare, and the Internet… there is no good reason to hire a “less qualified” handwriting expert who lives across town, when you can hire the country’s most recognized handwriting expert for the about the same price. 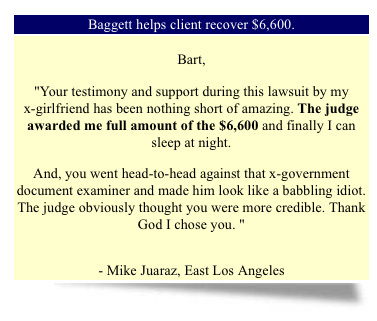 Plus, with the “Special Offer”… we are discounting our Court Appearance Fees by 50% to any client who needs a court appearance which requires Mr. Baggett to get on an airplane to get there. This will more than offset any small travel fees that only will apply if I have to travel to court or an on-site examination. We want you to find all the reasons to hire our office. Call Toll Free. 1-800-980-9030 . Here’s our promise: You’ll get the most professional, objective and honest assessment of your documents available in the USA. 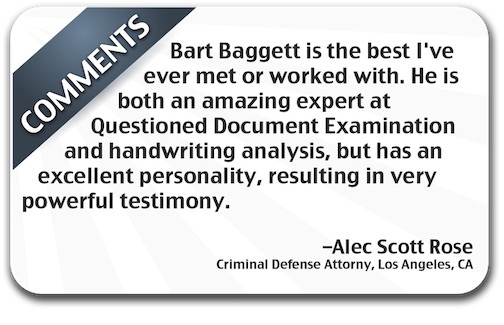 Mr. Baggett flies all over the United States to assist clients in document examining cases. 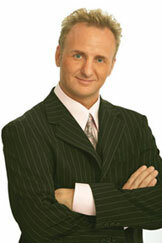 If your case requires Mr. Baggett to travel, ask about the out-of-state discounts now available for first time clients. Don't hire a local document examiner just because they are closer to you. 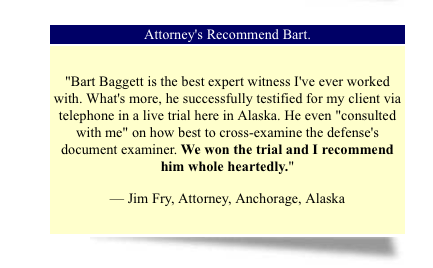 Hire the best... isn't your case worth a phone call to investigate the differences Mr. Baggett can bring to the table? Call today for an appointment or press here to submit your order and reserve a priority reservation in Mr. Baggett’s queue of cases. The first consultation is free. Call now. authenticity is in question... I can help you. Get your case started today and place your case in the que, simply online using our secure online payment system. This expedites your case and gives you priority attention in our office. You can also call and ask questions before process your retainer fee: Call 1-702-996-0911. Retain Mr. Baggett Now. Flat Rate Fee. New Case, Lab work, Verbal & Written Opinion or Declaration for 1 Questioned Document. See rate card and start your case. Would you like to speak to live person? Just call Bart's office at 1-800-980-9030.